Our international projects that are involved in the projects cooperations of The European Union (EU) Framework Programmes provide our country and our company with a great know-how increase in some fields such as technology transfer, etc. OPTEEMAL is a project approved within the scope of HORIZON 2020 Framework Programme in following its application to be made. A web-based Design Platform for Strengthening Energy Efficient Buildings has been developed for supporting integrated design methods for systemic delivery of optimized designs. This is a Medical Care Evolution project of which FPP is approved by ITEA 3 cluster following the application of which is made within the scope of TUBITAK 1509 International Industrial R & D Projects Grant Program. With this, it is aimed to offer advanced Data Visualization and Context Aware Human Computer Interaction services and to form Data Analysis Platforms for health care. 3DSafeguard – Global Situation Awareness in Rescue Operations, Disaster and Audit Activities is a project of which FPP is approved by ITEA 3 cluster following the application of which is made within the scope of TUBITAK 1509 International Industrial R & D Projects Grant Program. With this, it is planned to ensure multi-layer visualization and a 3D visualization in the background with video games in geographic field, to prepare visual decision support tools, to perform big data analytics and real-time mapping. This is a project of which FPP is approved by ITEA 2 cluster following the application of which is made within the scope of TUBITAK 1509 International Industrial R & D Projects Grant Program. With iCityServices project; a layered and rules-based Smart City Platform is developed which ensures the intelligent integration of city services used in sectors like energy, transportation, information and communication technologies and the more efficient use of necessary sources by service providers which develop inhabitability and comfort of urban areas while existing and newly developed city systems are organized. In this platform, there is an innovative and service-oriented system exists which offers a smart and customized interaction with endusers using semantic based recommendations. This is the Integrated Service Management and Distribution Platform for Smart Cities project, of which FPP is approved by ITEA 2 cluster following the application of which is made within the scope of TUBITAK 1509 International Industrial R & D Projects Grant Program. In this project, it is aimed to form an integrated data and service platform for the smart cities of the future, to develop algorithm services and applications in line with a variety of use scenarios. Smart cities in particular is a strategic issue for Turkey. i-Treasures is an EC FP-7 project funded by European Union. The project is under the safeguarding of untouched intangible cultural heritage. 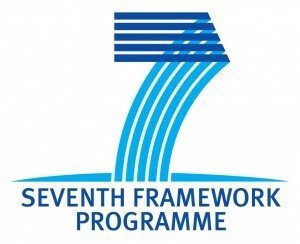 This is an EC FP-7 project funded by European Union. 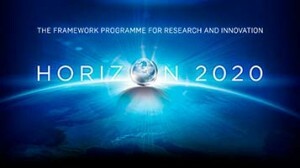 Project includes the use of game technologies within the scope of a EU project on Software Defined Network. Software-based network applications are the candidate applications to replace in near future the former Internet infrastructure based on best effort. The project includes technical applications in this field.